bickel84	 01-01-2018 Pending - 0/0 Sent email request. jumpman	 04-12-2016 04-20-2016 Success 8 0/1 Received signed 5x7 photo like most others on here - Definitely autopen. Still cool though. Nygiants42	 02-14-2014 02-28-2014 Success 14 0/1 Sent signed 5X7. Thanks!! 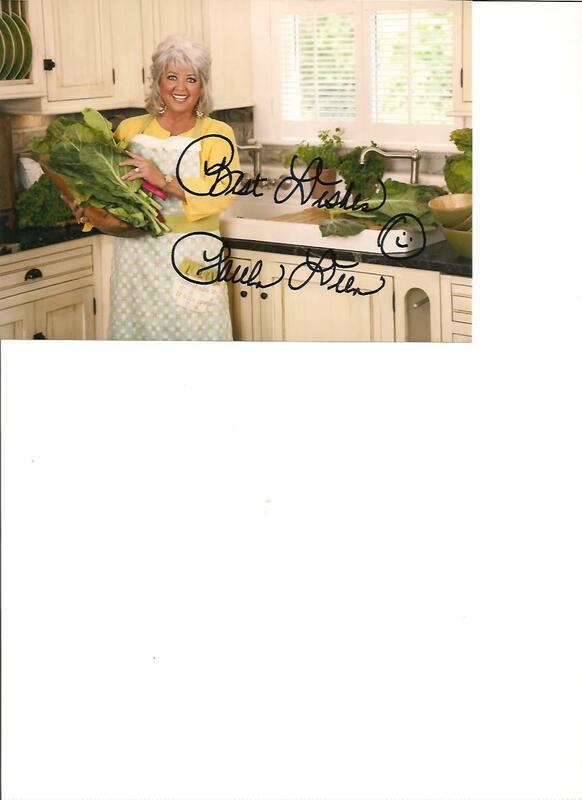 Robextend	 01-16-2014 02-10-2014 Success 25 0/1 Email request sent./Received signed 5x7 pic..thank you Mrs. Dean. 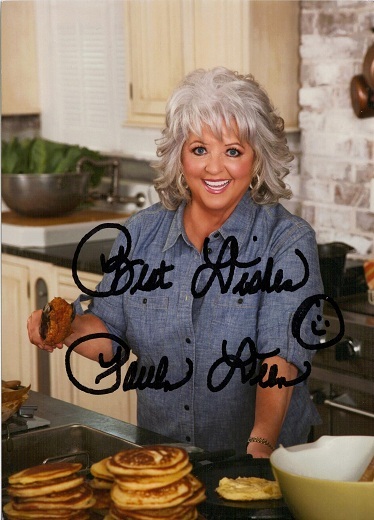 underwoodcr3	 08-13-2012 08-20-2012 Success 7 0/1 Received 1 Signed Photo with "Best Dishes". Anthony	 07-25-2012 07-30-2012 Success 5 0/1 that was FAST. 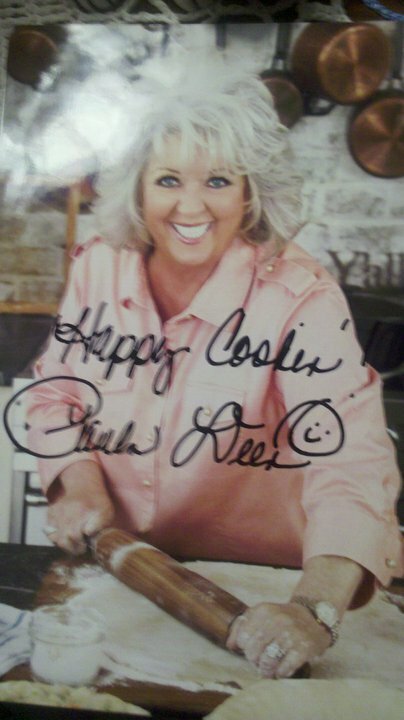 got a inscribed photo 'Happy Birthday' with auto, and a photo of her husband signed. great bday gift for my mom! primetime27	 04-19-2012 12-31-2012 Pending 256 0/0 12/31/12 sent 2nd request since not received. 02/10/14 Sent another request. 01 16 16 Sent another request. 12 27 15 Sent another request. Pmurdick25	 06-24-2011 07-05-2011 Success 11 0/1 Received signed, not personalized, picture. I requested it to be personalized to my wifes grandma. MarcusMaximus06	 06-08-2011 06-13-2011 Success 5 0/1 Requested signed photo in comments section of site and received the photo within a few days. Super quick! Hobey21	 01-25-2016 01-30-2016 Success 5 0/1 Sent me a signed color 5x7! Great success from a great person! 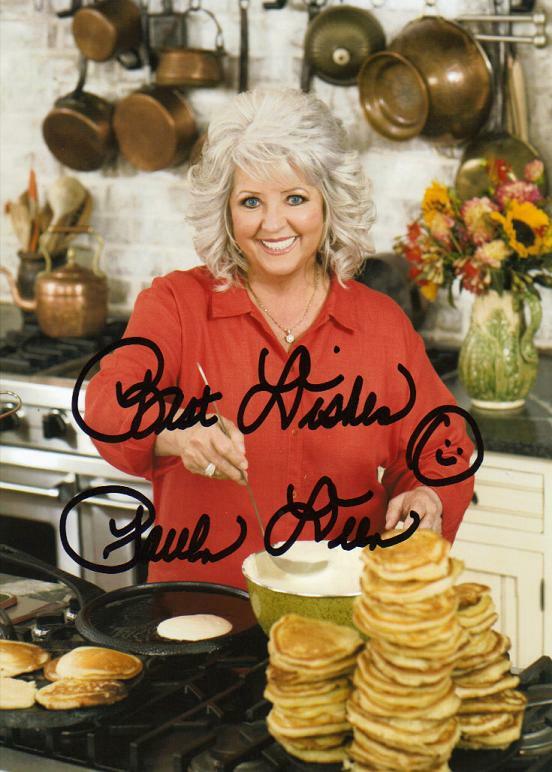 Thanks Paula! 5 Days!